TastyKhana is giving cool offers on purchasing food items through their site. I’m enlisting 2 great offers which will be valid upto 7 December 2014. You will also get flat 15% off if amount is paid via PayUmoney! Order food from TastyKhana worth Rs 300 or more and apply promo code ILUVU to get 50% off. You can get maximum of 150 Rs discount and order must be placed between 11 – 1 PM & 7-9 PM (Monday to Thursday). 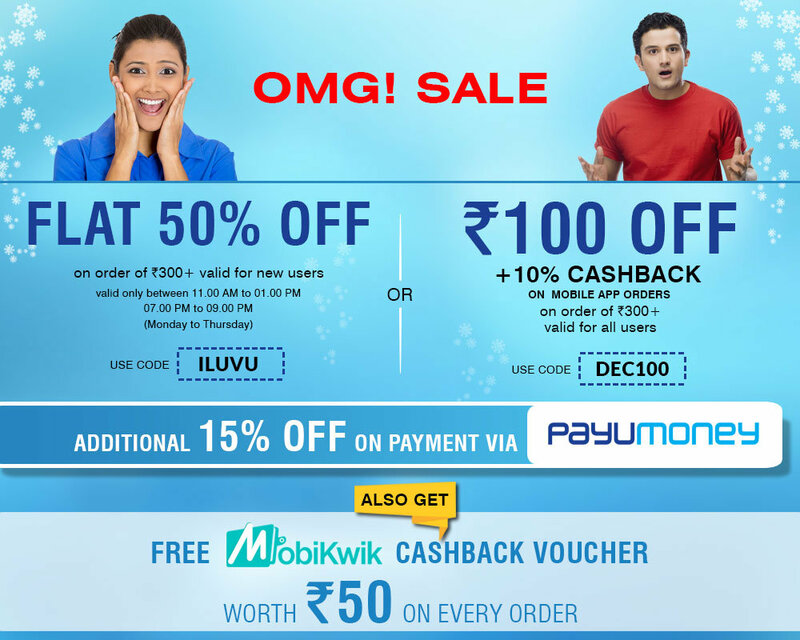 Users will get Free 50 Rs Cashback Mobikwik Vouchers on every order. For more information about these offers, please go to this link.